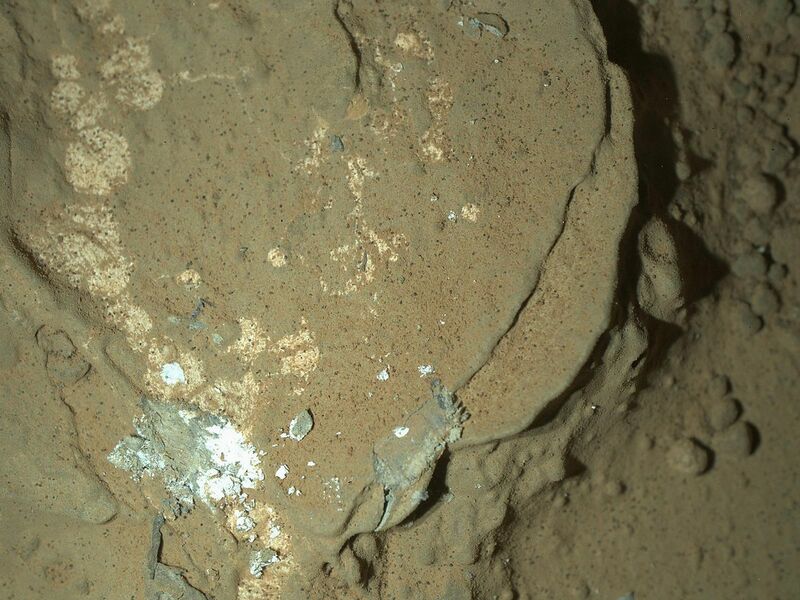 This image of a Martian rock illuminated by white-light LEDs (light emitting diodes) is part of the first set of nighttime images taken by the Mars Hand Lens Imager (MAHLI) camera at the end of the robotic arm of NASA's Mars rover Curiosity. 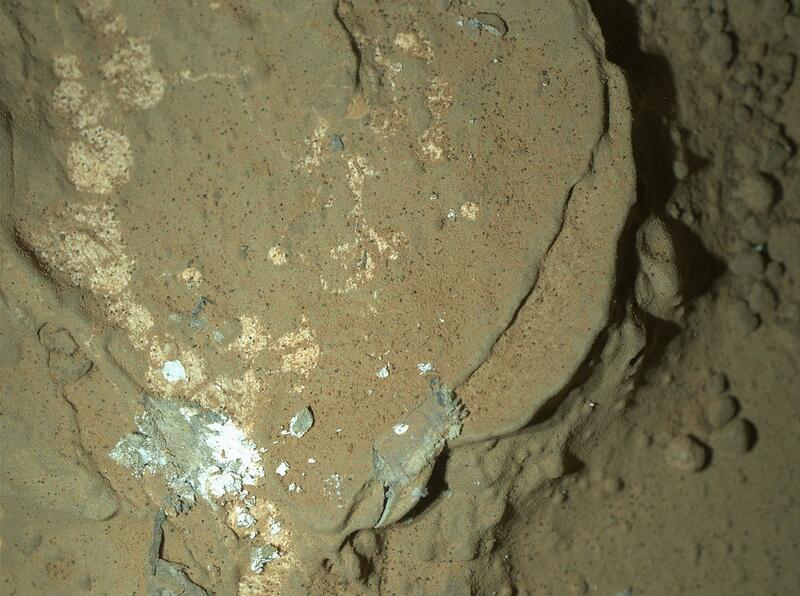 MAHLI took the images on Jan. 22, 2013 (PST), after dark on the 165th Martian day, or sol, of the rover's work on Mars. 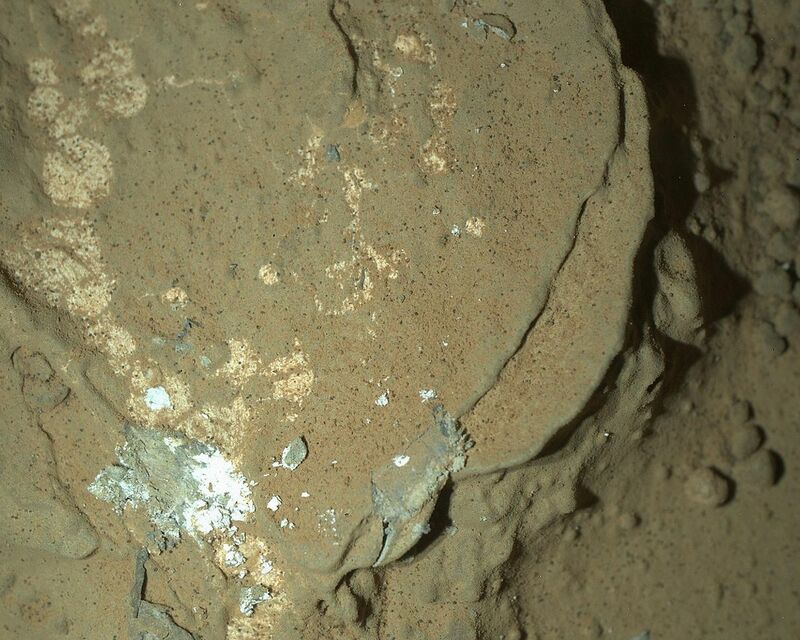 This rock target in the "Yellowknife Bay" area of Mars' Gale Crater is called "Sayunei." The image covers an area about 1.3 inches by 1 inch (3.4 by 2.5 centimeters). 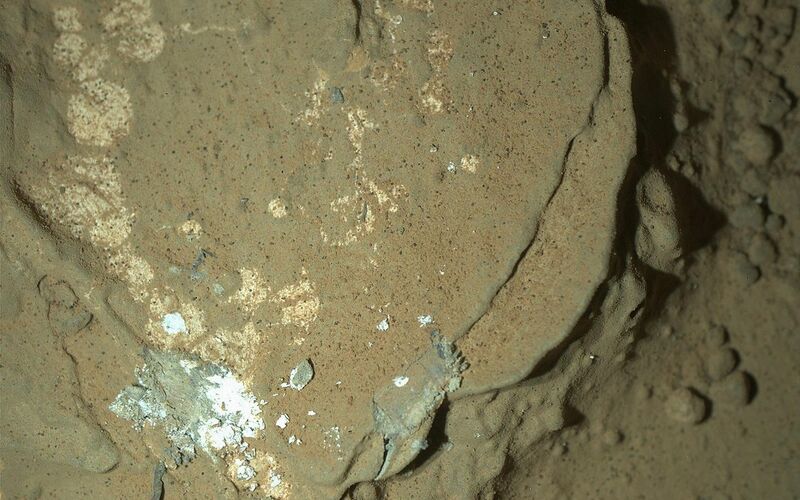 The illumination came from one of MAHLI's two groups of white LED pairs. This allowed surface features to cast shadows and provide textural detail. White-light LED illumination was also used for a nighttime image of MAHLI's calibration target, shown at PIA16713.